Kit Check, the leader in hospital pharmacy medication tracking software and drug spend optimization analytics, announced Eric Bolling as Executive Vice President of Sales. Eric brings over 30 years of experience to the Company. Prior to joining Kit Check in January 2019, Eric spent over fifteen years at Cardinal Health, most recently serving as General Manager of Enterprise Corporate Accounts. Eric began his career with Bergen Brunswig in strategic business development. Samsara, the IoT platform for connected operations, announced Brion O’Connor Vice President of Marketing. Brion joins from AppDirect where he served as Senior Vice President of Network Services. Prior to that, he led the global marketing, insights and strategy operations team at LinkedIn. Brion also was responsible for growth and product marketing at Hostelworld.com and was Head of Digital Search Campaigns at GroupM. He joined GroupM via its acquisition of 24/7 Real Media where he was a search campaign manager. Brion began his career at Computershare. 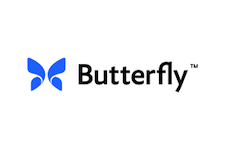 Butterfly Network, the first ultrasound on a chip and world’s first and only whole body imaging probe, announced TsongMing Kao Vice President of Manufacturing Engineering. TsongMing is well versed at working through packaging complexities and bringing products into mass manufacturing and production. He joins from Qualcomm where he spent nearly 14 years and was an early team member in their engineering group. Prior to that, he was an engineering manager at both Intevac and Dpix. TsongMing Kao also ran engineering at Skywork Solutions for six years and he began his career as an engineer at Hewlett Packard. Asana, the leading workflow management and collaboration platform for teams, announced Mark Arnoldy as Head of Customer Success. Mark joins from Possible where he spent seven years as the first Chief Executive Officer leading overall strategy, raising capital, developing partnerships, and building the team (to 340+). Mark was a passionate and avid Asana customer while at Possible. RigUp, the energy industry’s largest and fastest-growing marketplace for contractors and service providers, announced Andy Hung Head of Marketing. Andy joins from Uber where he spent the last five years. He began as General Manager for Chicago before moving on to lead all of marketing for the South. Prior to that, he was a senior consultant at Ogilvy Consulting. Additionally, Andy ran marketing at The Heartland Mobile Council and was a strategy consultant at L.E.K. Consulting. He began his career at Cason Nightingale. Amobee, the world’s leading independent advertising platform across all channels, announced Bob Scarperi Chief Commerical Officer. Bob spent the last eight years at MediaMath most recently as Chief Revenue Officer. Prior to that, he served as Executive Vice President of Global Sales at Electronifie and Head of Global Sales at Rocket Fuel. Bob was also a sales director at DoubleClick and he began his career at ADP in sales. Amobee is a wholly owned subsidiary of Singtel, one of the largest communications technology companies in the world, which reaches more than 700 million mobile subscribers in 21 countries. Amobee operates across North America, Europe, Middle East, Asia and Australia. VBrick Systems, the leader in enterprise video platform solutions, announced that Doug Leonard has joined as Chief Revenue Officer. Doug was most recently the Chief Sales Officer at HireVue, and previously had led Cornerstone OnDemand’s North American Sales team focusing on enterprise and global strategic accounts, helping to drive revenues through IPO and beyond. Earlier in his career, Doug spent time at Gevity, Ceridian and ADP. 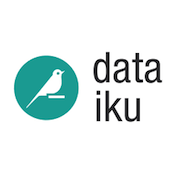 Dataiku, the world’s leading collaborative data science platform, announced Chad Garrett as Chief Revenue Officer. Chad brings more than 20 years of experience in enterprise software sales leadership. Most recently, he was Senior Vice President, Strategic Sales at Apttus. Prior to that, he ran global sales strategy at Hortonworks. Chad previously spent close to a decade at TIBCO Software progressing through sales leadership roles to Vice President of Sales, and then ultimately to General Manager & Senior Vice President of Sales for the Analytics Division. Early in his career, he held senior account executive positions at Aspect Software and Jacada, and at Seagull Software managing sales teams in several regions. Chad began his career as a systems engineer at Sun Microsystems. He is a military veteran (Aviation Specialist, Army). InfluxData, the open source time series DB platform for metrics & events, announced Will Paulus Vice President of Sales. Will joins from Algolia where he served as Head of U.S. Sales. Prior to that, he spent several years at Mixpanel initially leading mid-market sales before moving on to manage enterprise sales. Will began his career at Google building teams to support growth for Google’s G Suite. Scalyr, the company that helps engineers troubleshoot issues faster with its blazing-fast log management solution, announced Christine Heckart Chief Executive Officer. Christine brings more than 25 years of experience growing emerging technologies into multibillion dollar businesses from ground zero. She most recently served as Senior Vice President at Cisco and as Executive Vice President at Brocade. In addition, Heckart has held multiple executive and C-level positions at global technology brands, including NetApp, Microsoft, and Juniper Networks. Christine is also currently on the board of directors at Lam Research Corporation (NASDAQ: LRCX) and 6sense. Kyruus, a leader in provider search and scheduling solutions for health systems, has named Chris McMahon as Senior Vice President of Human Resources. Chris joins from Turbonomic where he spent the last 4 years as Vice President of People and Culture. Prior to that, he oversaw all aspects of global talent acquisition at Cimpress and was Senior Director of Human Resources at Endeca. Additionally, Chris spent nearly a decade at 170 Systems in human resources ultimately serving as the Director of HR. Blueboard, the recognition platform that enables companies to reward their employees with curated experiences and activities at the click of a button, announced Michael Lee Vice President of Sales. Michael joins from Clearbit where he was Head of Sales. Prior to that, he ran North American Enterprise Sales for SurveyMonkey. Michael previously spent nearly 7 years at Google, ultimately as Enterprise Territory Manager selling Google Apps for Business. He began his career in sales at JotSpot (acquired by Google) and PushMX Software. Artemis Health, a provider of a health data analytics platform for employee benefits managers, announced Jennifer Bellin Vice President of Marketing. Jennifer joins from Paycor where she spent nearly a decade. She began as a marketing manager before moving on to lead marketing and ultimately serve as Vice President of Strategic Programs and Marketing. Prior to that, she was the director of public relations at the Cincinnati Opera and she began her career at the Music Teachers National Association directing all aspects of the annual conference as well as board, leadership, and committee meetings in addition to managing special projects and leading a team of 100+ volunteers. Aledade, a national leader in value-based care, announced Charlie Colligan Chief Financial Officer. Charlie brings more than 25 years of experience in finance with expertise in developing and leading major strategic initiatives in sectors including financial services, technology, real estate, insurance, and government. He joins from CoStar Group where he served as Treasurer. Prior to that, was the Senior Vice President of Finance for Sallie Mae where he spent the bulk of his career. Charlie began his career at Merrill Lynch in the Capital Markets Group. theSkimm, a digital-media company built on a daily newsletter aimed at millennial women, announced Dork Alahydoian as Senior Vice President of Membership Marketing. Dork brings extensive digital product and media experience joining from the The New York Times where he spent just over six years. He began his career with the Times in strategy and business development before moving on to manage the team responsible for customer experience and retention. In his most recent role, Dork was Vice President of Partnerships and B2B Subscriptions and helped build their digital subscription business. Prior to the Times, Dork was is various startups including, NetSeer, Fandango and LookSmart. Aledade, the health tech startup putting doctors back in control of health care, announced Jessica Gladden Vice President, Human Resources. Jessica joins from Applied Predictive Technologies where she spent 11 years in human resources and helped build the company from 50 people to over 650. Prior to that she was the senior human resources specialist at the American Association for the Advancement of Science.